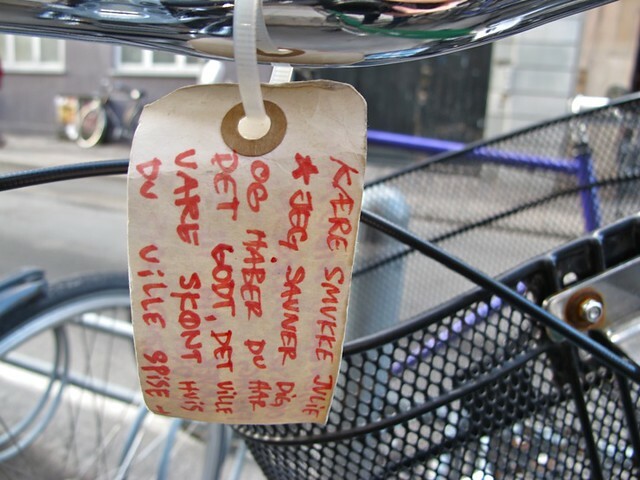 When everyone rides a bicycle in a city, the best way to get their attention is to use the bicycle to communicate. A man declared his love for a girl named Stine, outside my building a couple of years ago. "I love you, Stine", "I will always love you...". 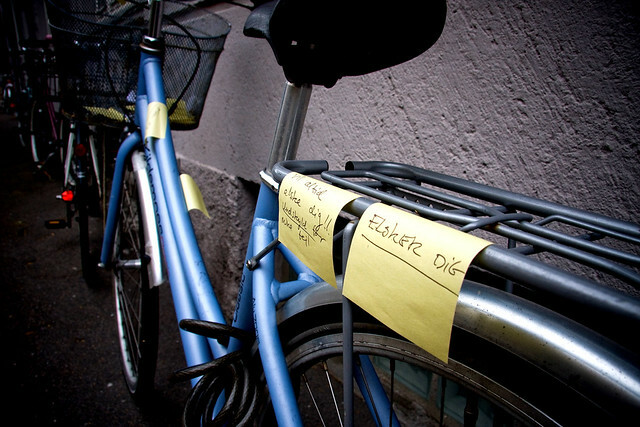 Yellow post it notes all over her bicycle. Then our friend Sandra from the always splendid Classic Copenhagen blog spotted this the other day. Another note declaring love. "Dear beautiful Julie. I miss you and hope you are well. It would be wonderful if you would eat...." and then it continues on the flipside where we assume he was inviting her to dinner. Although we shouldn't assume it is a man - it could be a woman. Whatever the case, it's lovely. I love this post! 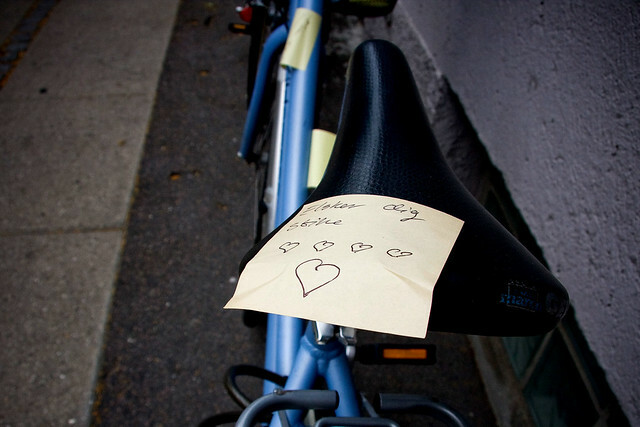 A love note on a bicycle, how romantic.